We have complied 3 simple points to consider regarding workers’ compensation law in North Carolina. There are time limits at every stage in the workers’ compensation process. You have a 30 day time limit to notify your employer about the accident, and two years to file a workers’ compen sation claim. An exception to this is If the employer has already paid for your medical treatment. The claim then must be filed within two years from the final treatment payment date. The appeals process also has time limits, which are stated in the documents you receive pertaining to your case. Make sure you read these carefully so that you are aware of what you need to do. You didn’t meet the time limits to report your injury or file the workers’ compensation claim. When you don’t agree with the decision of your claim, you can appeal. Make sure you read the decision notification thoroughly so you will know what your options are. Filing your appeal on time is crucial, and the paperwork will outline appeal requirements. Be aware that your appeal can not include any new information or evidence. 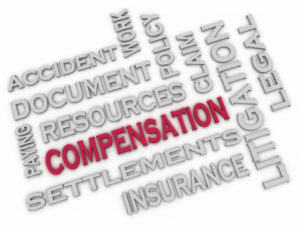 Getting your case to move through the workers’ compensation system may be a challenge. Often, the procedures are complex, and you may need assistance to determine your next steps. Slaughter Law has been working with injured workers for over 20 years, and can provide you with the assistance you may need. No matter what stage you are in the claim process, please call us for a free consultation at 910.763.1109.